A rare whale dubbed 'Benny the beluga' was spotted in the River Thames near London today, in what is believed to be the most southerly sighting ever recorded in Britain. Ecologist and ornithologist Dave Andrews could not hide his surprise as he tweeted videos of the mammal in the Thames off Coalhouse Fort in Tilbury, Essex. 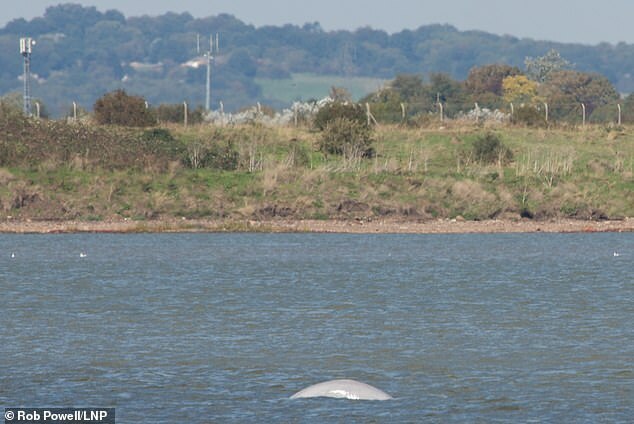 He said the whale was close to Gravesend in Kent, and added on Twitter: 'Can't believe I'm writing this, no joke - beluga in the Thames off Coalhouse Fort. He added that the whale - hundreds of miles from its normal Arctic habitat - was 'best viewed from Kent just off Shorne marshes but don't know access to this area'. 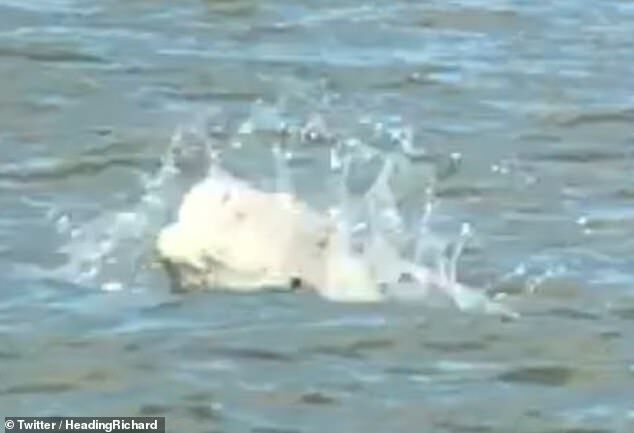 Aspiring marine biologist Beth Clyne, 20, of East Yorkshire, tweeted: 'I'm freaking out about this beluga in the River Thames! I'm that shocked, I don't know what to think. 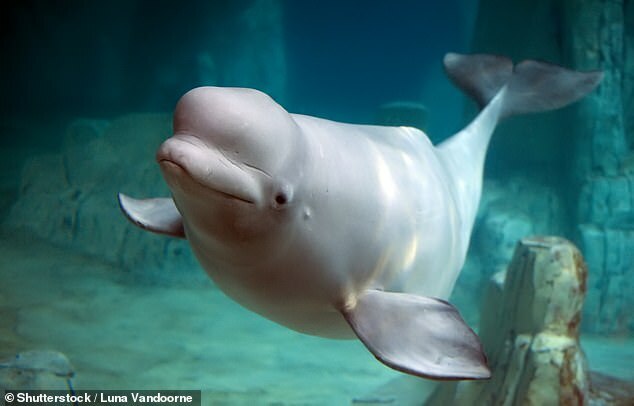 Belugas, also known as white whales, are known for having rounded foreheads and no dorsal fin. The marine mammals feed feed on fish, crustaceans, and worms. Ranging from 13ft to 20ft in length, the whales are common in the Arctic Ocean's coastal waters. But they migrate southwards in large herds when the sea freezes over. The whales, whose scientific name is Delphinapterus leucas, have an average life span in the wild is 35 to 50 yaers, and weigh around a tonne. A beluga whale was last seen in the UK three years ago off the coast of Northumberland, and sightings in Britain are said to be very rare. A British Divers Marine Life Rescue spokesman told MailOnline: 'We've just seen on social media what's happening - we've got someone on the way now. 'We're not scrambling teams down there preparing for a rescue yet because the whale is not in distress at the moment. It seems to be freely swimming. Our only problem really is people disturbing it. Lucy Babey, from conservation group Orca, told Mirror Online: 'This is the most southerly sighting of a beluga we have ever seen around these shores. 'The last sighting in UK waters was in 2015 when they were spotted near the Northumberland coastline, but they left shortly afterwards. 'Belugas usually travel in pods but this creature could have separated for a number of reasons. 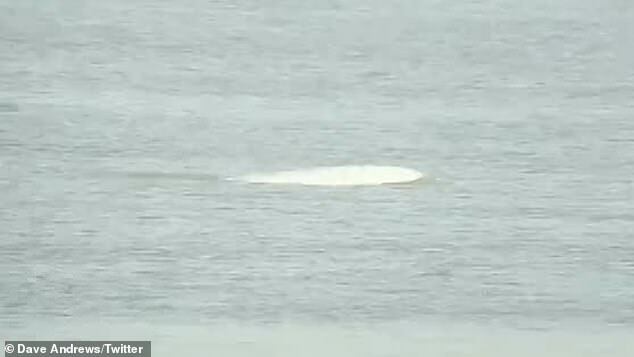 An RSPCA spokesman said: 'The RSPCA is aware of reports of a whale - believed to be a beluga - in the Thames. 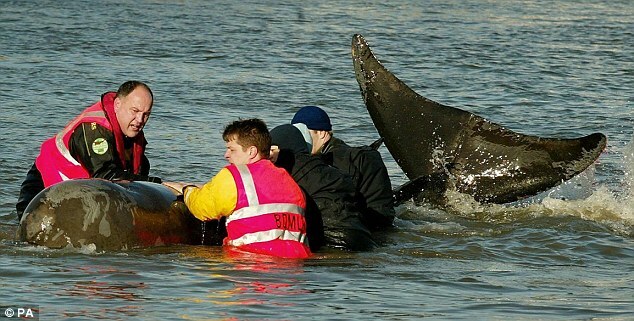 He urged people to give the whale 'space and minimise disturbance'. 'In the summer of 2015 two were spotted off the Northumberland coast and one in Northern Ireland,' he said. 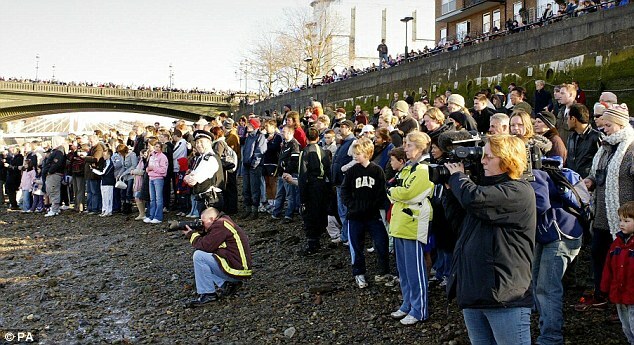 In January 2006, an 18ft northern bottlenose whale swam up the River Thames, with thousands of people watching from the riverbank as rescuers tried in vain to save it. The story of the whale captivated people across Britain and abroad, with it being the first time the species had been sighted in the Thames since records began in 1913.